Toronto has had an up and down February when it comes to weather. Freezing rain shut everything down. Freezing drizzle showed up to party. It’s been extremely cold. And it also almost hit double digits in the city. That’s all happened in just the last 10 days. Now, day 12 of February appears to be bringing back the snow — and a lot of it at that. 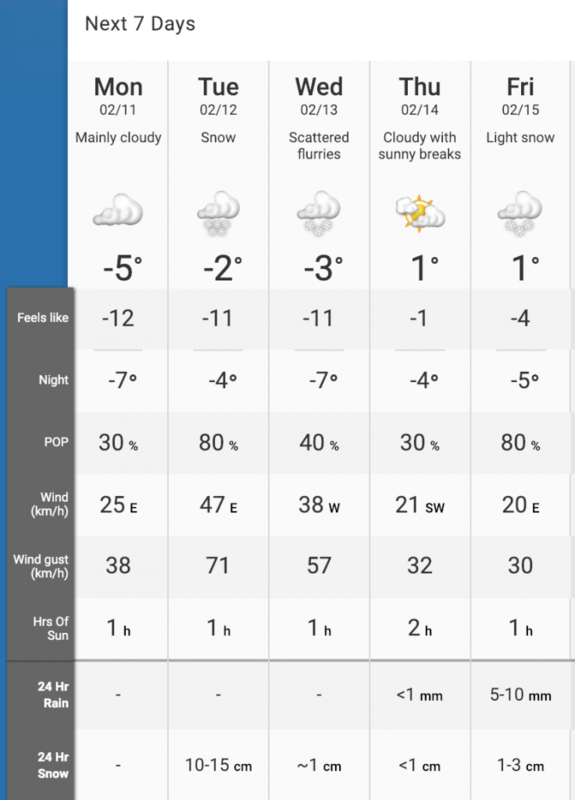 According to Environment Canada’s current Special Weather Statement, “total snowfall and ice pellet amounts of 5 to 15 cm are possible” on Tuesday. 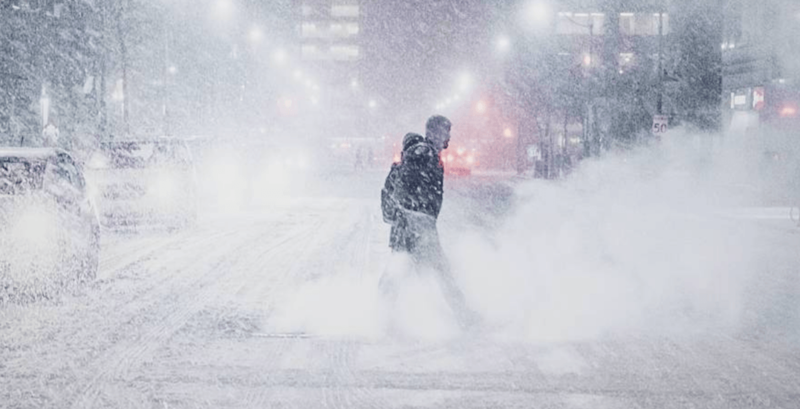 Considering the city’s last snowstorm had colleges and universities shutting down, flights cancelled, and people literally skiing through downtown streets, you should probably prepare for your life to be slightly delayed, interrupted, or completely inconvenienced between Tuesday and Wednesday of this week. Get your shovels and your patience ready, Toronto — you’re going to need them both.